And such is life! : Ad Wars - Outstanding! Ads are not just ways to sell your products - they are often used by companies to put down their competition (Pepsi vs. Coke, anyone?) especially in those countries where the permits it (you cannot name the competition in ads shown in India). 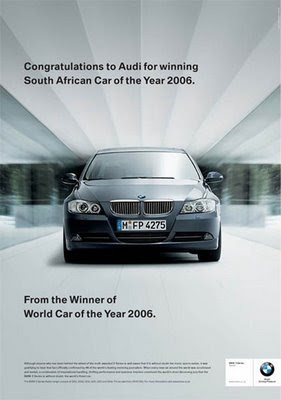 This is a set of three ads where BMW & Audi take on each other. And it gets better as Subaru joins in! 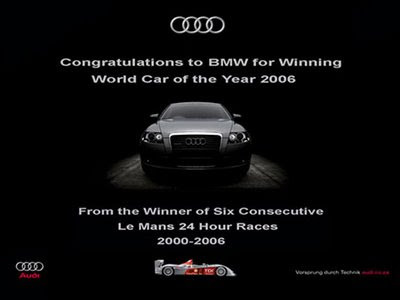 First Punch: BMW takes on Audi.. Knockout! 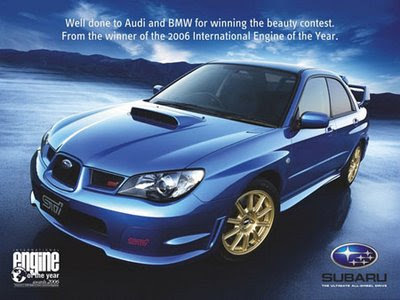 : Subaru kicks both BMS & Audi bigtime with this..